Yellow was all the rage this year and I loved every single yellow gown. Leslie Mann is my favorite by far and I love the turquoise earrings. And speaking of color, hello orange! I don’t watch Mad Men, but apparently this actress is a big hit on that show. I know some would say her red carpet debut was boring but I thought this fit her perfectly and was just so elegant and beautiful. The red lips and green ring were the perfect touches of color. Not long ago I watched the entire first seasons of Girls in two days and totally love Allison Williams. She’s just gorgeous and she looks like a full-blown movie star in this gown. I wasn’t a fan of much else. There was a lot of tulle overlay and a lot of ill-fitting gowns that were just unflattering. I think the ladies above should give their stylists a raise! Did anyone else have any favorites? Since I’ve visited some new restaurants recently, I feel like I can bring back Five Bites Friday this week! 3. Cava Spicy Hummus – Cava – I have to admit this made the list mostly because I’m excited there is a Cava Mezze Grill opening down the street from my house and I just want it to be open now. Happy Friday and Happy Running this weekend. I’ve got a 5k tomorrow and the highlight of this race for me is that you run a victory lap inside Nationals stadium! And then Sunday I have 9 miles to tackle. Even though I feel like my sinuses are attacking me right now, I can go into the weekend feeling great because I accomplished all of my training runs this week – including my long run! I had 7 miles on the plan for Saturday morning and knowing I was going to be out of town, I decided to change up my schedule for the week. My co-worker Meredith, who is running Marine Corps in 4 weeks ran with me – she puts 20 mile runs to shame – and she had 8 miles on her plan so I figured, if she’s willing to run with me, I’m not going to ditch her the last mile. We started out fast. I mean who doesn’t start out fast when they’re running with someone? But we eventually hit a groove and we took a short break at mile 4 to hydrate and pep ourselves up for the 4 miles back home (and by home, I mean work). Even though we were still a few blocks from the office, the moment we hit 8 miles we both immediately stopped and I really appreciated that. We had just killed a huge hill and were pushing to the end. We both agreed the first couple of miles were though but we eventually got into a good groove and helped each other stay at a faster pace than we would have while running alone. Our splits were all over the place but we mostly stayed in the 9:45 – 10:15 range. Garmin pic below. It felt so great to be running with someone and I was definitely pushing myself harder than I normally do. I hope we can do some more runs together (her training plan is tapering down just as mine is ramping up but it’s still around the same mileage). 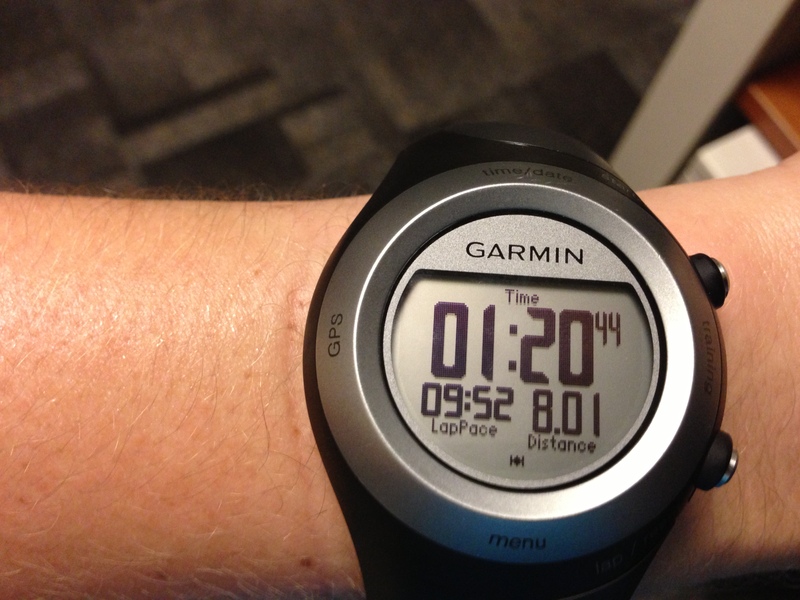 I haven’t run more than 6 miles since the Cherry Blossom Race in the spring so this 8 felt good for sure. Naturally we hammed it up once we were back in the (creepily dark) office. Weird me. I’m already chugging down some Nuun here! 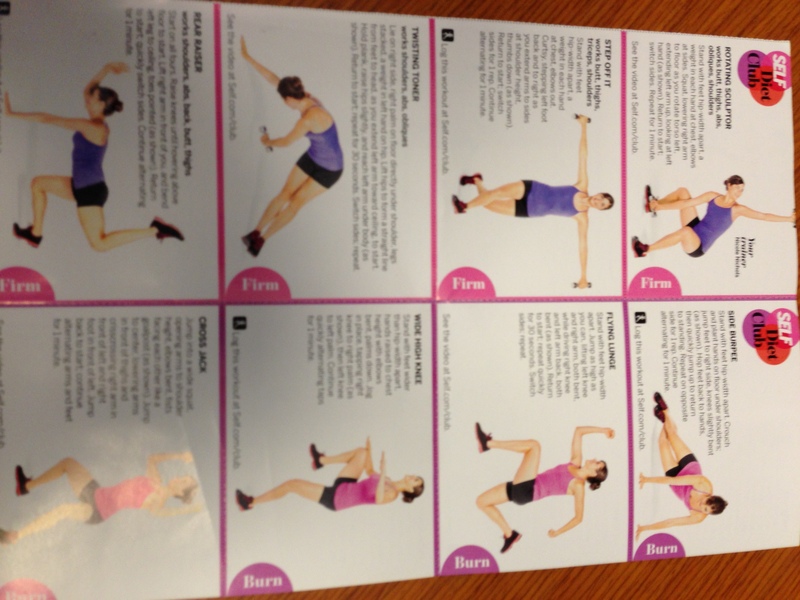 Monday – Step or Zumba – semi-step success! So I didn’t make it to spin on Wed. I was just exhausted and really needed to clean my apartment. Sometimes you just gotta do what you gotta do. My long run ended up being last night and this morning I had a really slow 3 mile run on the treadmill at the gym. 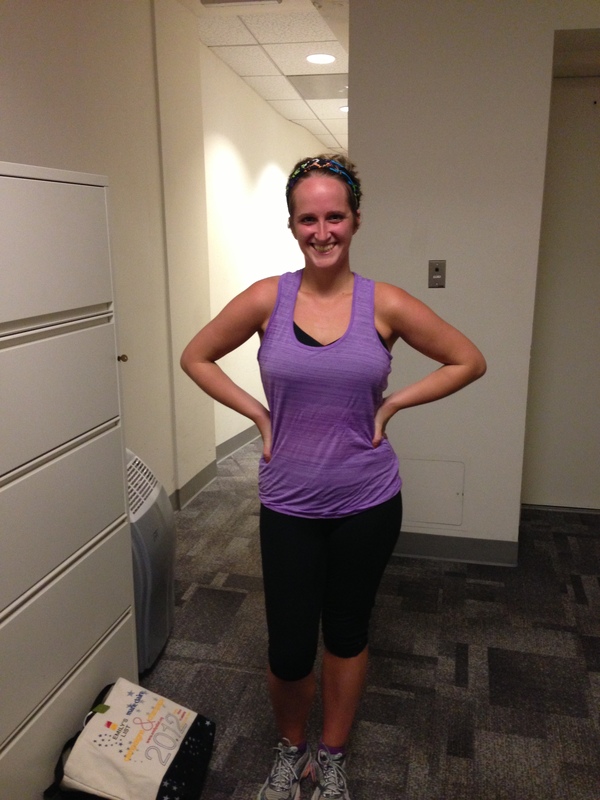 I knocked off a mile because I added one last night – that makes sense, right? 🙂 I was so pooped after my run this morning that I actually came home and laid back down again. Big mistake but hey, it’s Friday. Emmy’s Fashion Friday post coming later this afternoon. I haven’t been enjoying this new kind of oatmeal I bought, so this morning I thought I would try to add some items to make it a little tastier. Seems like too much of a waste not to eat it, so getting creative seemed to be my only option. 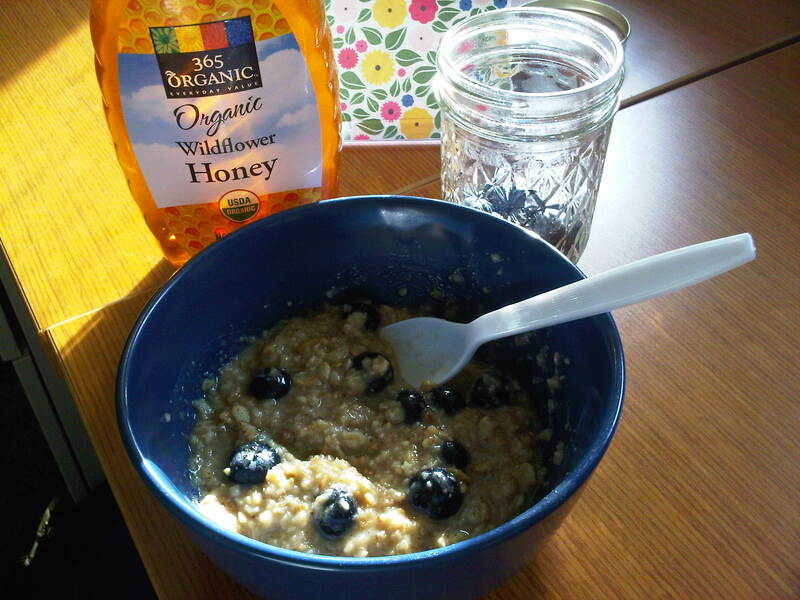 I bought honey last night because I was kind of craving it and then this morning I added it with blueberries to the not so tasty cinnamon honey Kashi oatmeal. It helped…a little, but I think this oatmeal just might be a lost cause. I did my second day of track work last night and I really enjoyed it! I think I did the 7×400 all wrong, but I read up on how one actually does that and now I know what to do. There were a lot of people using the track last night and a team practicing lacrosse on the infield. I kept having dodge the balls as they were hurled on the track! In other running related news, I fell to the peer pressure of the compression socks after seeing numerous pictures and reading reports on the benefits of these socks, I finally decided to purchase a pair from Pro Compression. I like them, and while I only ran 8 miles on Sunday and rocked them afterwards, I think I like the hot pink look the most. 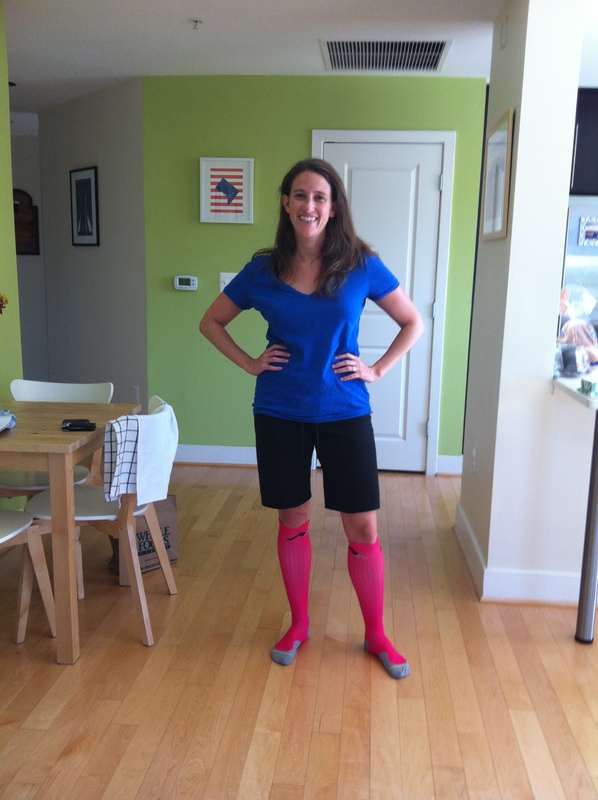 Skinny Runner is hosting a great deal for these socks right now – and a chance to win a Garmin! On Sunday, I spent the afternoon with my niece. We spent the afternoon outside and I basically followed her around while she directed me on what to do next. 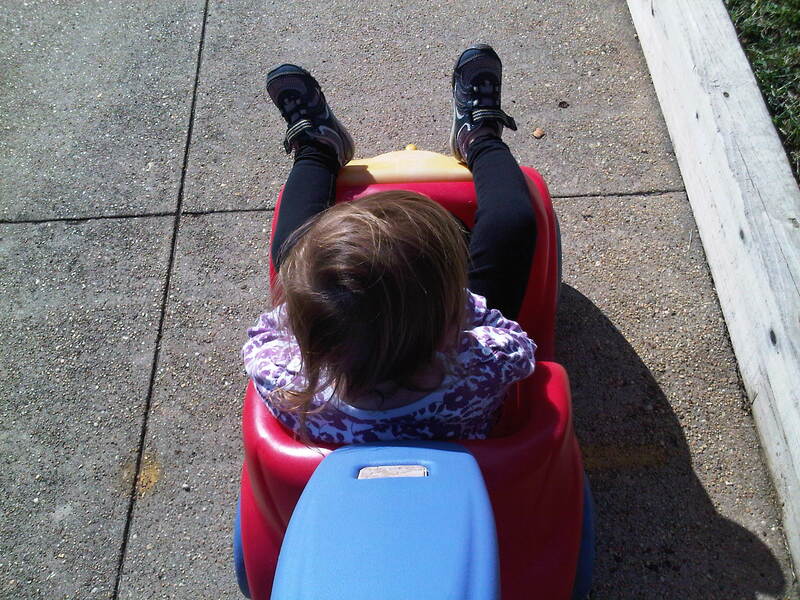 We chased a squirrel, ate some pretzels, blew some bubbles and rode the car around the block. Just chilling in her car. Tomorrow is Friday (in case you didn’t know)!! I admit it, I’m an anti dentite. I know dentists do important work and my dentist is honestly the nicest person but I just don’t like going to the dentist. Not at all. Not even a little. Not even for the free goods at the end. I tend to have bad experiences at the dentist and generally have a lot of anxiety before going there and I don’t really think I’m alone with these feelings. I mean, who DOES like going to the dentist? Luckily, this morning I had an extremely quick, efficient appointment and I was literally out of there in 25 minutes with a “you’re doing a great job” from my dentist. Success! My appointment was super early so I had a ton of time to kill before work. I decided to enjoy this beautiful fall weather with a tasty breakfast outside. 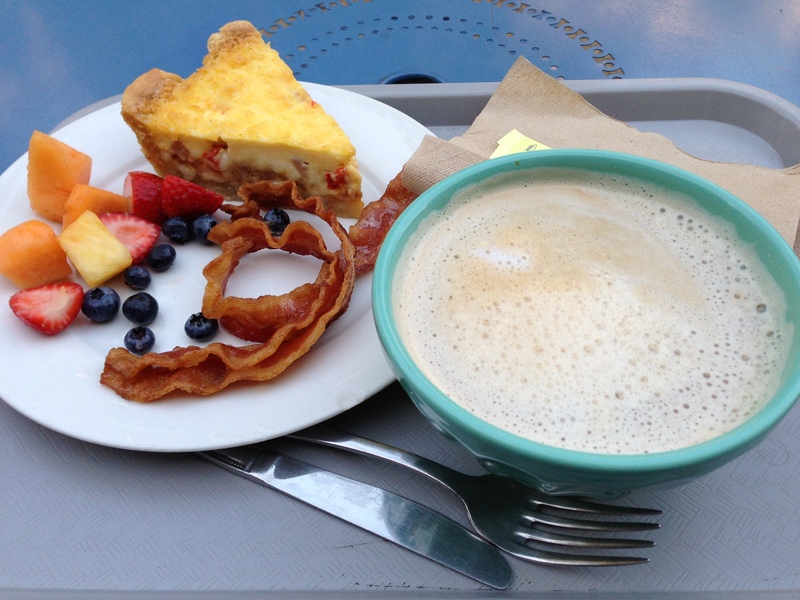 I had some quiche, fresh fruit, three strips of bacon and a latte the size of my face. I started a new book on my Kindle and enjoyed my morning 100%. It was just lovely. No, seriously, that isn’t a bowl of soup or oatmeal. It’s my LATTE. Last night’s 3 mile run was a success. It was the perfect weather for running and there were a ton of people out running, which I love. I sweated through what felt like a really quick run and after a stop in at Target (can anyone get out of that place without spending money – seriously?! ), I went home to do the SELF strength-training moves. Nice little workout. 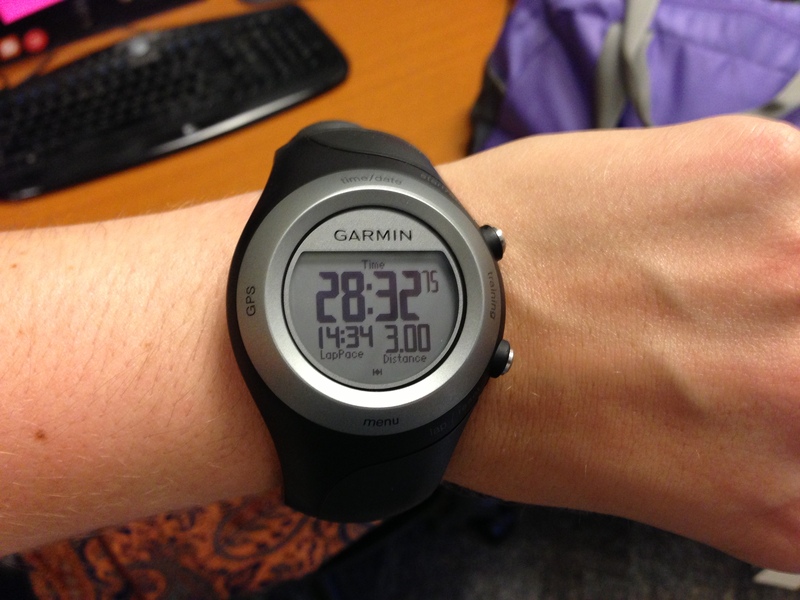 No, my pace was not 14:34, thanks, Garmin. I have a really big knot in my right calf that I tried to work out last night but man is it killing me today. I have spin planned for tonight but I may take it easy to prep for my 7 miles tomorrow. 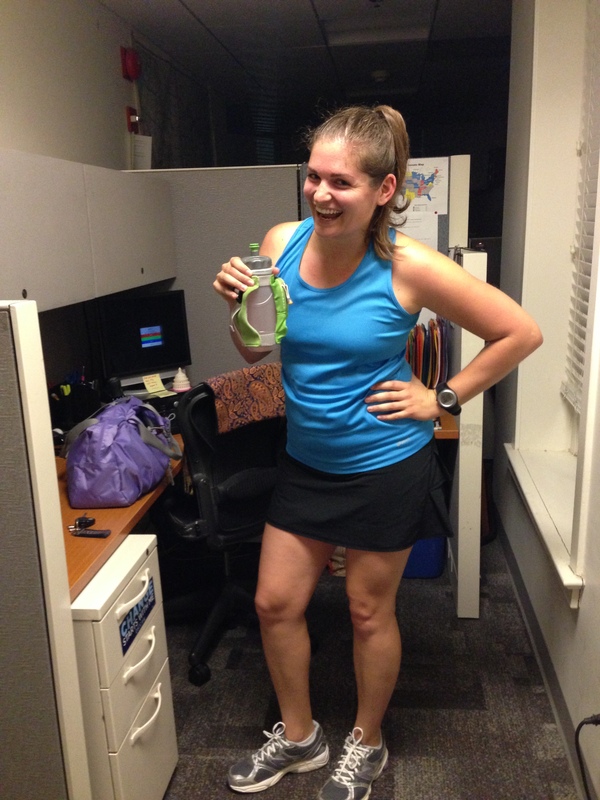 My co-worker who is training to run her SECOND MARATHON agreed to run with me tomorrow after work. She has 8 miles on her plan and I’m trying to get in my long run early because of my travel this weekend. I’m so excited to be running with someone tomorrow, let’s hope I can keep up! Hope everyone’s Wednesday is off to a good start. Last night I went to Ripple for a night out with my sister. I have been wanting to try this place since it opened at least a year ago now – if not longer. I am very intrigued about their grilled cheese bar, but luckily I studied the menu and discovered that is only available in the early evening and then again in the later hours of the night. Either way, there were still plenty of items on the menu that looked tasty. I have zero pictures to back up explanations, so I’ll keep it simple. We started with some charcuterie which was very good. I had a beet salad that had a lovely artistic presentation that was very much to my sister’s tastes. The salad itself was just ok. I think between the creme fraiche and brown butter it was a little too creamy – even for me! We tried the hand cut fries with homemade ketchup, because I can’t resist and they were great. And then I had the cubanelle pepper agnolotti with chanterelles, almonds, sorrel and ricotta. This was by far the stand out. The creaminess here was perfect and the pasta and mushrooms together had the best flavor. This dish was technically part of the second plates so it wasn’t a full entree. We finished dinner with some cinnamon honey ice cream that was very light and refreshing! I look forward to going back to Ripple and trying out some other items on the menu, a cheese plate next time or the grilled cheese bar perhaps! I like to see that even people we admire and idolize also have their own idols that they are just as excited to meet for the first time! The jury is still out on whether I run 4 miles tonight or not. Only time will tell! The YMCA is such a funny place sometimes. Last night I ran to step (which apparently actually starts at 6:35pm instead of 6:45pm, which is what I thought) and there was no instructor. We got word that the usual instructor was sick and had found a replacement but the replacement flaked. A bunch of women called it quits and put their steps away but 5 of us stayed and did our own class (sound familiar?). We hooked up an iPod and just worked it for 40 minutes. It was actually the birthday of the girl who “taught” class and she said she needed to work off her birthday cake from earlier in the day. The Y ended up sending up a trainer who was going to run us through some circuit work but when he came in and saw us working away he just let us be. I could have done something else and waited it out for Zumba at 7:30pm but I loved the idea of a few of us just throwing our own workout together. I was definitely sweating by the end and really impressed with the girl who “taught.” It’s not easy to throw a step routine together on the spot! She certainly looked like she was having a blast though. Hmm, maybe this is another sign I should just train to be a fitness instructor already…Don’t get me wrong, I love the Y, but I feel like there will be more circumstances like this one moving forward and you know what, I’m OK with it. I community atmosphere and willingness of the other members to work it out no matter what, makes it worth it to me. This weekend flew by! I can’t believe it’s already Monday and a new week is starting. While it was definitely not my most productive weekend, I did manage to get my 6 mile run in on Saturday in between all of my weekend fun. The run wasn’t pretty. At all. I stopped halfway through and needed more water but none of the water fountains in DC that I ran past were working. But the run happened and once I hit the 4 mile mark I knew I was cruising to the end. I also need to make it up to Fleet Feet again in Adams Morgan to stock up on some Honeystingers (they are the only local store that sells them) or put in an order online because I didn’t have anything for a burst of energy during my run either. 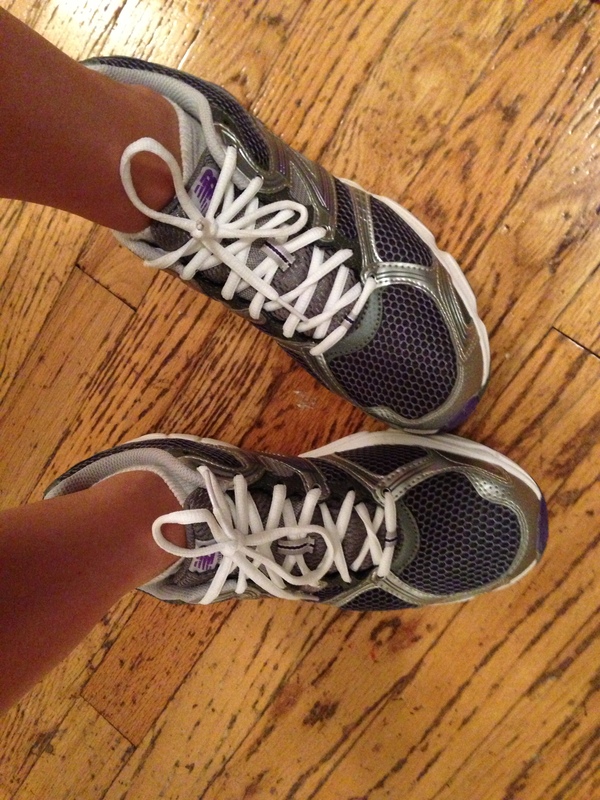 I did however try out my new sneakers and capris and totally loved both of them. Woo! 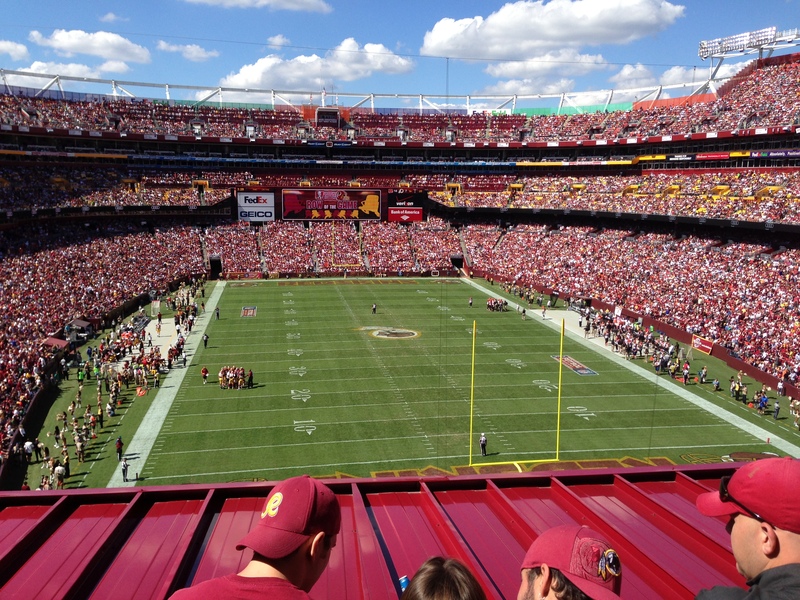 I went to my first NFL game of the season and watched the Skins lose to the Bengals in what was a pretty exciting game. Bummer on the loss (the Skins are my second team) but it was a gorgeous day for tailgating! With all of this cool weather I’m starting to think it’s time to bust out my slow cooker for some fall recipes. Maybe I’ll check out Pinterest later for some inspiration. I wore a fall jacket to work today and I loved it. Hello, fall! How did your SIDI turn out for the week? 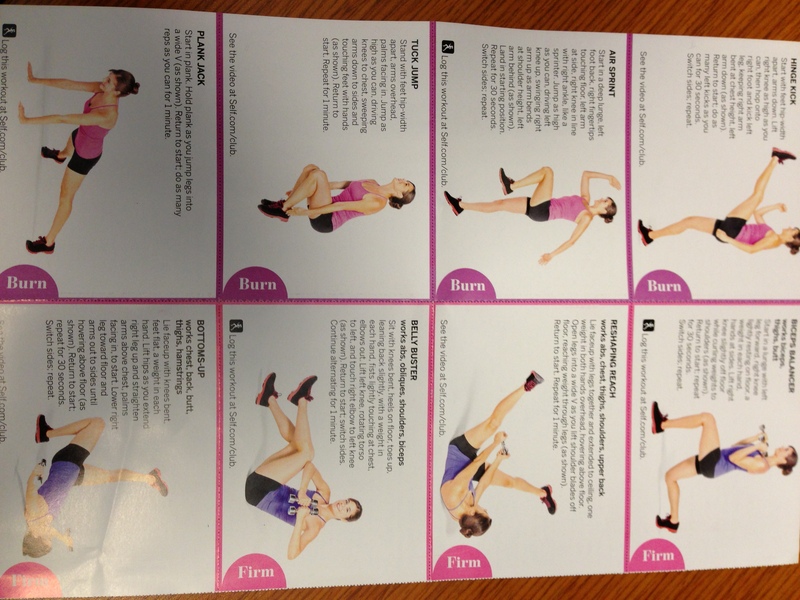 I feel good about mine, minus some of that strength training I missed. Monday – Zumba – success! Friday – Rest – success! Saturday – 6 mile run + Body Pump – why did I hate on Body Pump so much this week? Sunday – Rest – success! Let’s try this again, here’s my SIDI for this week. I made some adjustments because I’ll be out of town again this coming weekend and I don’t want to miss my long run. 1. 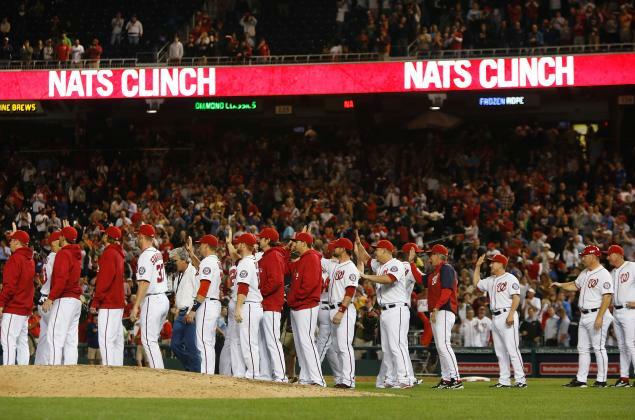 The Nationals are going to the playoffs!!! As a season ticket holder in 2005 when the Nationals came back to D.C., I’ve been waiting for this moment! I did not purchase season tickets for any other season because frankly going to 32 games in one season was tough, but I do love the team. This morning playoff tickets went on sale and Justin and I bought some! Granted, the Nats have to have home field advantage because we have Game 3 tickets, but it’ll happen I just know it! 2. This is the first weekend in 3 weeks that I’m home and not traveling for work. It was wonderful waking up this morning knowing I don’t have to go anywhere and can enjoy going to TRX and my nephew’s soccer game and nothing else! 3. I bought this dress yesterday, it is a very bold purple, but I think I’ll love it and will be great in the fall with tights and boots! 4. As embarrassing as this is to admit, I think Justin and I are finally upgrading the the 4-tuner TiVo. I know you must be thinking why on earth does someone need that?? But there are often times we have two shows taping and we want to watch a third. Mostly it happens when one of us isn’t home and we can’t watch the taped shows without the other. Rules are rules! 5. Tomorrow is the first official day of fall, it’s been the best weather here lately – not humid at all, but still warm. It has made running so much more enjoyable. I even ran 3 miles the other day in long sleeves! Can’t wait for even more chilly weather! So, I guess I kind of did my Fashion Friday post yesterday when I talked about my new Lululemon capris (nope, still haven’t arrived) and my new shoes. That’s pretty much all the “fashionable” shopping I’ve done lately. Exciting, I know. Well, I did get an iPhone 5 this morning. Does that count for some good shopping? I don’t have a review of it yet because I literally just got it this morning and it only finished synching all my data a few hours ago. However, right off the bat I’ll say that it’s longer, thinner and lighter and overall just seems sleeker than the 4. But honestly, it looks just the same as the 4 if you saw it from a distance. I’ve read a bunch of reviews and I know the map app isn’t getting a good rap but I’m excited to get to know the phone a little better and learn about all the bells and whistles. I did take a panoramic picture of my desk which is pretty damn cool if you ask me. I’ve never stood in line to get a new phone, or actually any electronic before, and I have to say, it was a good experience. I was at the store 2 hours before they opened and was the 10th person in line. I chatted a lot with the three people around me which was really nice and helped pass the time. The woman next to me was extremely friendly and she held my spot in line while I went to get coffee and then went I went to use the restroom and even let me borrow her scarf when I was chilly! Plus, the folks at Verizon were great. They were so organized and a manager came through before opening to talk to everyone individually and answer any questions anyone had. AND, they gave us Dunkin Donuts while we waited! Once I got inside, the process was super easy and I made it to work a few minutes early. Overall, I’d do it again. It was fun to be in the excitement of it all (kind of like seeing a movie at midnight) and I’m so happy to have a new gadget to play around with. I have a lot of fun plans ahead of me this weekend and I’m ready to just get to it all. I’m working on another post all about the oyster party I went to last night because it was so awesome (if only I had taken some photos). Hope everyone has some fun fall weekend plans ahead!